Asham Woods. Leighton. 16th April 1990. British Sidecar Cross Championship. 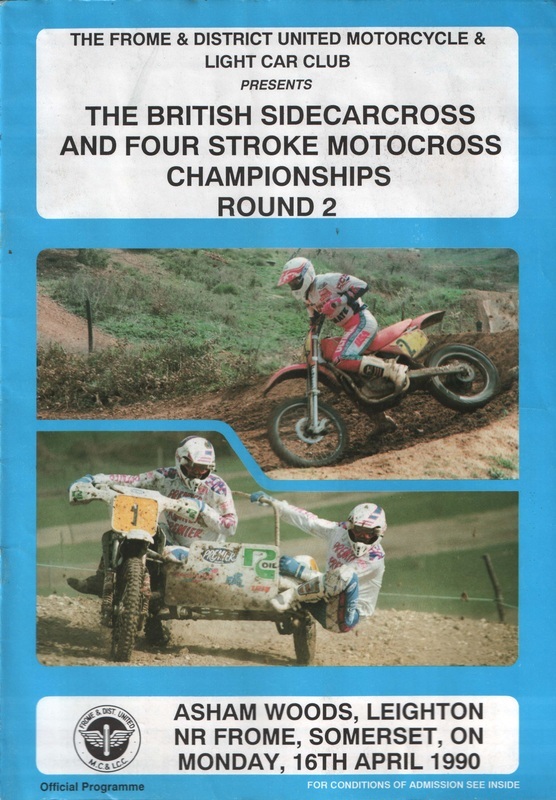 4 Stroke Motocross Championship. 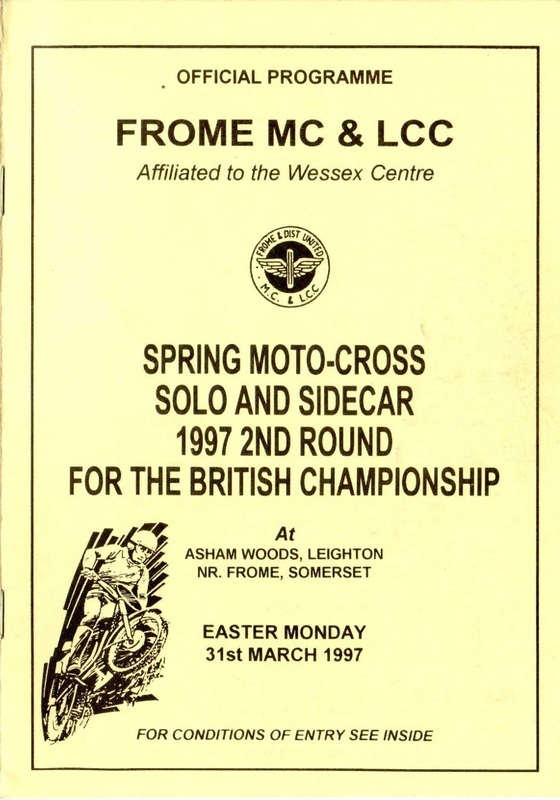 Frome and District United Motorcycle and Light Car Club. Asham Woods, Leighton. Spring Motocross Solo and Sidecar 2nd Round British Championship. Easter Monday 31st March 1997. Frome & District United Motorcycle and Light Car Club. Thanks to Andy Westlake for supplying the programme.